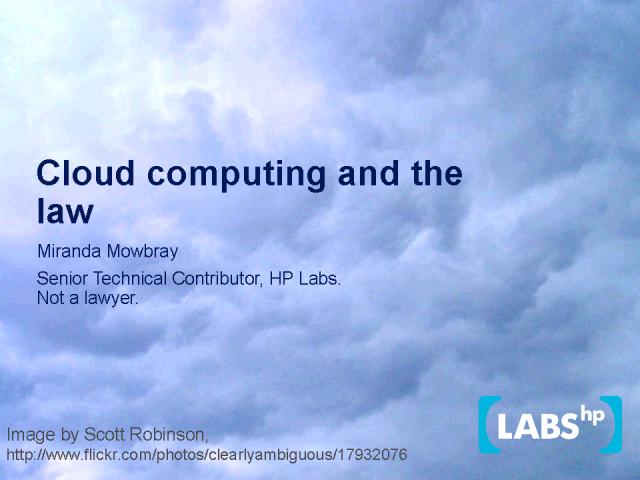 Miranda Mowbray is a senior technical contributor at Hewlett-Packard Laboratories, Bristol, where her research interests include online communities, peer-to-peer technologies, and privacy for cloud computing. Miranda co-founded e-mint, the UK Association of Online Community Professionals. She was recently a Visiting Industrial Fellow at the Center for IT Research in the Interest of Society, at UC Berkeley. Her PhD is in Algebra, from London University.